Exactly how much power Opus Dei and its members have had over the United States political and financial scene and foreign policies options until just recently? This is a question no one dares to ask and even fewer dare to research or answer. It is inconvenient, not a propos of the current optimist and plurality-loving wave, it is a fractional question. Still, perhaps the Bush administration was useful in the sense of teaching the American citizens (and above all their latest victims) something about the importance of separating politics and faith. Obama seems to know very well how to keep both things in their right places, as he showed during the campaign – the same way he has shown, after taking office, that he knows he is the President of all Hindu, Islamic, Jewish, Catholic, Buddhist, all Americans of all faiths, and more importantly: respects them all. But we should step back some years and recall that power is tempting in all its forms, for certain minds. 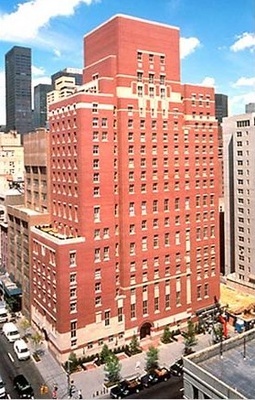 It is not because the US Opus Dei offers pseudo-transparency shows in the form of live online video tours to their headquarters that their influence over the political and financial institutions is less harmful or dangerous for US/world democracy, or their attempts to control the governments in order to fulfill particular agendas become less obvious. Maybe the US is currently suffering with all the options and promiscuity of the past. Bush was a puppet in the hands of particular groups of interest. Nevertheless, some lessons should be learnt from it all. At least one would think so. But the bitter truth is that US citizens should be warned for the fact that such groups of interest will keep trying hard to move their strings and influence whomever is in power. Lately, they have been recurrently attacking non-religious citizens and what they call “secularist Europe” – which is, of course, not constructive for transatlantic relationships, and undermines all Obama’s administration efforts. Some notes on these distorted prepositions will be helpful and clarifying. The assertion according to which only Europe and non-religious people inside Europe are secularist is deeply wrong. 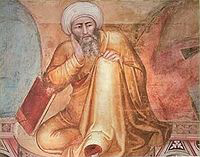 For a start, secularism was introduced in the West and Europe in the place (modern day Spain) where centuries later Josemaría Escrivá, the founder of Opus Dei, was born by Islamic philosophers, namely the Almoravid-Almohad Averroes, or Ibn Rushd, who came from a family of law scholars who had collaborated with several caliphs for generations before that. And you can ask: but isn’t Islam the faith of the Sharia? My answer will be: not really, or not only. Actually, you understand very little of Islam and Islamic faith if you fail to understand this: Islam is not one, but multiple – this multiplicity is the heart and core of Islam. Needless to say, where there is multiplicity, there is space for the Other – this space was literally emotional and physical as Catholics, Berbers, Jews and Muslims lived inside the same towns and married each other in parts of Europe, under the caliphs, many centuries ago. Second, we should never, ever forget these observations: there are plenty of religious secularists, just the same way as atheist non-secularist people exist. This should be a strong sign indicating that any tempting Manichaean ideas are wrong. Finally, secularism can be simply defined as “the belief that religion and ecclesiastical affairs should not enter into the functions or services provided by the state, or that they should not have influence or determine a state’s duties and the way it treats or relates to its citizens”. Holyoake, a British secularism pioneer advanced many years ago that “Secularism is not an argument against Christianity, it is one independent of it. It does not question the pretensions of Christianity; it advances others. Secularism does not say there is no light or guidance elsewhere, but maintains that there is light and guidance in secular truth, whose conditions and sanctions exist independently, and act forever.” I can see nothing wrong with that – but I understand that particular faith-related radical and militant interests can, not only the ones related with Opus Dei, but with many other Christian groups which move interests and hundreds of millions of dollars in the United States every year. There are of course many other groups, at times apparently even wealthier than Opus Dei, although Opus Dei seems to be more radical and by far more powerful. Since it was born in Madrid, Opus Dei always walked hand in hand with Franco's regime and Salazar's regime, two of the most abominable dictatorships of the 20th century - so did the most important leaders inside the Catholic church, by the way. It is now funny to see it so healthy, influential and respected inside your own country. Changed my mind... either funny or not funny at all. To continue the story... when secular ideas were turned down after the caliphs lost power to christians, you know what happened: persecution of Jews and Muslims and Inquisition. A whole essay is written on Opus Dei and not once it is explained to the readers what exactly is Opus Dei and how does it define itself. Since the charge seems to be one of abuse of power and malfeacance, it would be helpful to begin with a look at how Opus Dei defines itself. If one looks it up on their web site one finds this self-definition of identity: “Opus Dei is a Catholic institution founded by Saint Josemaría Escrivá. Its mission is to spread the message that work and the circumstances of everyday life are occasions for growing closer to God, for serving others, and for improving society.” Now, one may disagree with that definition of identity and in that case evidence has to be given on how an institution started by a Saint is some kind of malevolent power; otherwise one can legitimately begin to suspect an anti-Catholic or even anti-religion tirade by some secularist who considers that the sooner religion is disposed of, the better. Which of course does not mean that all secularists are intolerant of religion; one of them, Robert Shumann, is presently up for canonization by the Catholic Church and he was no less than a founding father of the EU. He is the one who said: "I never feel so European as when I enter a cathedral. It does mean however, that there is such a thing as intolerant religious bigots and intolerant secular bigots at the extremes of the cultural and political spectrum. I find it quite intriguing and even bizarre that the Catholics which are a minority, merely one sixth of a country with a largely Protestant population are now charged via Opus Dei with wielding disproportionate power and put together with special interests groups. I’ve heard of the Masons' lobby and the Israeli lobby but the Catholic lobby via Opus Dei is indeed a new twist. Ideological lenses lead to strange visions indeed. As already mentioned in a comment under the article on Habermas and European secularism and Eisenstadt's concept of multiple modernities, the whole premise of Habermas and Eisestadt’s theories of multiple modernities is indeed that there is a religious as well as a secular way of being modern, there is also a religious and secular way of being an intolerant ideological fanatic, The sooner European intellectuals come to grip with that reality the better it will be for Europe’s negative image abroad. 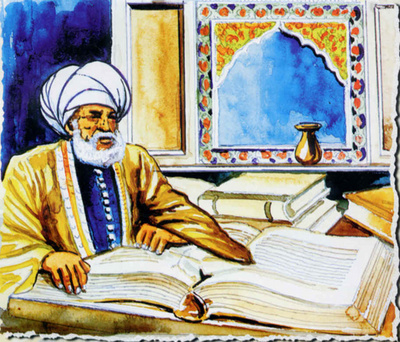 In the second place, I suggest that what indeed shows great ignorance is the ignoring of the fact that the core of the core of Islam is this simple and invariable profession that “I believe in One God and Mohammed the Apostle of God.” It was that profession which united a disparate nomadic idolatrous people into one people that came close to overunning and conquering the whole of Europe. There is a lesson there too for those European intellectuals--not all of them, to be sure-- that went to great lengths to make sure that the name of God and Christianity would not in any way appear in the EU constitution to make Europe’s culture more neutral and value free. That so called "constitution" which speaks only of the unity of banks and soccer games, and therefore offers no vision and sense of cultural identity to Europeans in general; it is now, perhaps more appropriately, called the Treaty of Lisbon. It bears pointing out that within a democratic society, freedom of religion means that even in a country predominantly catholic or protestant citizens remain free to adhere to any religion they choose or no religion at all. On the other hand, those who adhere to no religion need to include the voice of religion in the public square and not say: do your thing in private in the mosque on Friday but shut up when you come to the public square. To correct a distorted and slanderous record as expressed in this article especially about the association of Opus Dei with Franco and Salazar here are some facts from the Wikipedia Encyclopedia: According to several journalists who have worked independently on Opus Dei, such as John Allen, Jr., Vittorio Messori, Patrice de Plunkett, Maggy Whitehouse, Noam Friedlander many of the criticisms against Opus Dei are myths and unproven tales. Allen and Messori say that most of these myths were created by its opponents, with Allen adding that he perceives that Opus Dei members generally practice what they preach. Allen, Messori, and Plunkett also state that accusations that Opus Dei is secretive are unfounded. These accusations stem from a clerical paradigm which expects Opus Dei members to behave as monks and clerics, people who are traditionally known and externally identifiable as seekers of holiness. In contrast, these journalists continue, Opus Dei's lay members, like any normal Catholic professional, are ultimately responsible for their personal actions, and do not externally represent the organization which provides them religious education. Writer and broadcast analyst John L. Allen, Jr. states that Opus Dei provides abundant information about itself. These journalists have stated that the historic roots of criticisms against Opus Dei can be found in influential clerical circles. Also, there were notable members of Opus Dei who were vocal critics of the Franco Regime such as Rafael Calvo Serer and Antonio Fontan, who was the first Senate President of Spain's democracy. The German historian and Opus Dei member Peter Berglar calls any connection made between Opus Dei and Franco's regime a "gross slander." At the end of Franco's regime, Opus Dei members were 50:50 for and against Franco, according to John Allen. Similarly Álvaro del Portillo, the former Prelate of Opus Dei, said that any statements that Escrivá supported Hitler were "a patent falsehood," that were part of "a slanderous campaign". He and others have stated that Escriva condemned Hitler as a "rogue", a "racist" and a "tyrant". Various authors state that Escriva was staunchly non-political. Allen wrote that, compared with other Catholic organizations, Opus Dei's stress on freedom and personal responsibility is extraordinarily strong. I would add to the above that the slander has continued in the book The Da Vinci Code which is pure fantasy and distortion of facts. It is a sad state of affairs when people cannot distinguish their fantasies and animosities from the historical facts. Do you ask Al-Qaeda how does it define itself? "many of the criticisms against Opus Dei are myths and unproven tales"
SURE THEY ARE - ask all the Iberians who died at their hands or thanks to their "intervention"!!! "he perceives that Opus Dei members generally practice what they preach"
THAT'S the problem!! Including self-punishment, isn't it??? "British historians Paul Preston and Brian Crozier state that the Opus Dei members who were Franco's ministers were appointed for their talent and not for their Opus Dei membership"
Nooooo - who would have thought SUCH THING???!! "The German historian and Opus Dei member Peter Berglar calls any connection made between Opus Dei and Franco's regime a "gross slander." Oh a quote by an Opus Dei German member - how IMPARTIAL! Gross slander and gross lie is his affirmation - maybe because he didn't live it and has some interest in covering it up! "Similarly Álvaro del Portillo, the former Prelate of Opus Dei, said that any statements that Escrivá supported Hitler were "a patent falsehood,"
Are you JOKING with me??! "Various authors state that Escriva was staunchly non-political." ahahah - what an ANECDOTE!!! "These journalists have stated that the historic roots of criticisms against Opus Dei can be found in influential clerical circles." "Now, one may disagree with that definition of identity and in that case evidence has to be given on how an institution started by a Saint is some kind of malevolent power"
Escrivá was ANYTHING BUT a Saint and... can all Franco and Salazar victims witness?? Ms. Pereira, at this point you need to take the issue up with Wikipedia Encyclopedia which in your opinion is spreading misinformation, lies, and sladerous charges and ask them too if they are joking with you, thus transforming the issue into an ad hominem argument. As far as I am concerned, this essay is another proof, if we needed one, of the anti-religious virulent ideology which is alive and well in Europe since Voltaire and is responsible for the unfortunate poor image Europe presents to the the rest of the world when it comes to freedom of religion. To reiterate, freedom of religion means that religion too has a voice in the public square with any informed rational discourses it may have. If it does not mean that, if it is to relegated to the private sphere, it then is an oxymoron: intolerance in the name of tolerance and "enlightenment." I have been writing about this issue for two years now in Ovi magazine and the venemous reaction to it by the ideological fanatics out to liquidate religion and even resorting to personal insults in their indignation, far from dissuading me has reinforced my views on it. As I said before, if we after the truth, we need to refrain from slander, mockery, caricatures, and half-truths and not cherry pick or worse, fabricate, the facts. Very intriguing how the Opus Dei members who were anti-Franco, namely Raphael Calvo Serez and Antonio Fontan, are simply ignored; they simply don't count. If reality does not fit one's ideological lenses, so much the worst for reality. O tempora, o mores! The concerned reader looking for facts and the truth may wish to open the link below to "Opus Dei and politics," for the truth about St. Escrivà view on politics. are examples of journalists who fought for democracy and press freedom and were persecuted by Franco's Regime. Antonio Fontan would later become the Senate President. Falangists, the main political organization supporting Franco, suspected Escrivá of "internationalism, anti-Spanish sentiment, and freemasonry," according to Berglar, who states that "during "the first decade of Franco's regime, Opus Dei and Escrivá were attacked with perseverance bordering on fanaticism, not by enemies but by supporters of the new Spanish state". Escrivá was even reported to the 'Tribunal for the Fight against Freemasonry.'" (Berglar 1994, p.180-181; see also Vasquez de Prada 1997). As of latest statistical data, in 2006, in a country of more than 300 million people there were 3000 Opus Dei members. These, according to the conspiracy theory demonizing them as expressed in the very title of the above article, are the malevolent people who wield disproportionate political and cultural power in the United States to the point of wishing for a post-Opus Dei United States. Bizarre! One is hard put to brand such a conspiracy theory mere invincible ignorance or ideological perversion. I suppose Franco's Opus Dei Ministers were also anti-Franco... and Escrivá. See what I mean about reinventing History and writing down your own History books? 3. distorted arguments about things you don't actually KNOW. The above assumes of course that you have read carefully and aerenically the above links which treat the issue and you have found them all worthless ideologically propaganda by ignorumuses while your half-truths are the objective historical facts. What else is there to be said? Absolutely nothing. else! Exactly. Pretty much because you choose not impartial nor credible sources, or then present quotes out of context, very much according to particular conveniences. How many victims of Franco and Salazar and their Opus Dei friends do you know? That reminds me much of the strategy adopted by some of the Christian fundamentalist groups mentioned above.